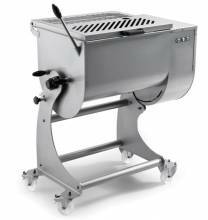 A meat mixer is an essential piece of equipment to make homemade sausage. Mix your meat in a new and efficient way, by going hands free and letting the mixer do all the work! Meat mixers allow your grocery store, commercial kitchen or butcher shop to make many types of meats, with an even distribution of additives and spices! A wonderful addition to any establishment looking to make large amount of sausage! 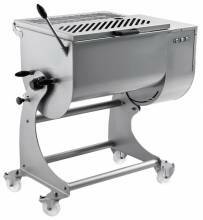 A meat mixer ensures that all of the seasoning is distributed evenly, and that every mixture is effectively blended! With a 50Kg. 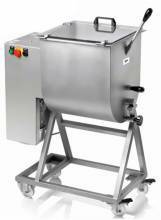 capacity, these meat mixers will increase productivity and decrease labour costs in your establishment! 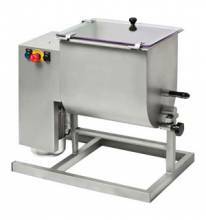 Manual meat mixers available in both 17lb and 44lb capacity!